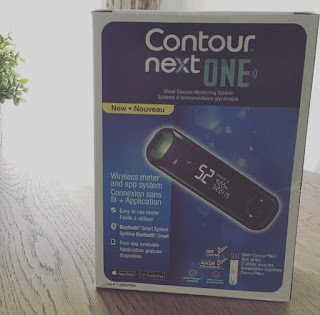 I had the opportunity to try out Ascensia's Contour Next One blood glucose meter along with the smart app that comes along with it! 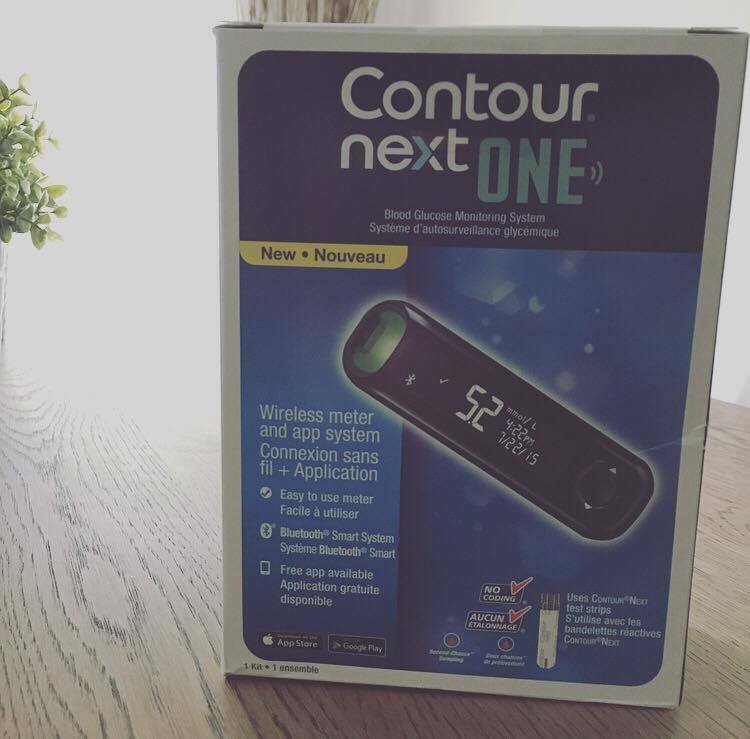 I used the meter for a week (and have continued since) and here are things I absolutely love about it! I am not one for having incredible patience... in fact I like things fairly quick, like microwave quick. This app was super easy to set up and it didn't require a whole bunch of information to get started. Also, the fact that it syncs on its own and I don't have to manually do anything is a big bonus! I have used apps before, that require a lot of information which adds up a lot of time. This app is quick and easy to use! 2. The graphics are so simple, so pretty! This app was designed very well! It's easy to read, easy to understand and I find it is actually quite encouraging. 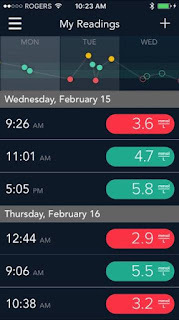 Your blood sugar readings are in big font, the graph of your past blood sugars is lined nicely above... everything about the layout gives you the quick facts (what you actually need to know) on your smartphone. 3. The meter is easy to use plus has a new feature called smartLight Technology! This meter is very compact, which makes it awesome for throwing in your clutch or pocket. Also, it also allows you to do second chance sampling! The other added feature to this meter is the smartLight technology, which gives you a marker of how your blood sugar is, by way of shining a light, green, yellow and red, and I can assume that you know what each colour would indicate. 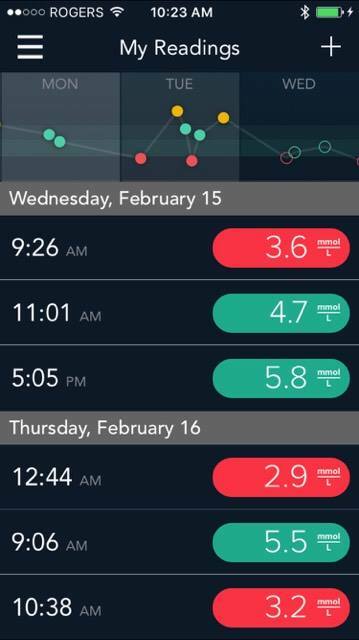 While the coloured light feature seems a bit extra for someone who is able to read their blood sugars off the meter, I can see this feature being a great marker for those that are older living with diabetes who may require extra notice of blood sugars and their meanings as well as children with diabetes! 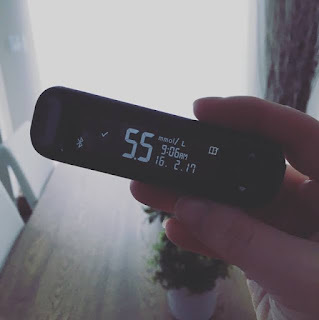 This post was sponsored by Ascensia Diabetes Care Canada Inc., but the thoughts are my own.